In part one of my Summer series (link below), I talked about recognising and treating heatstroke. But before things get that far, there are things you Hoomans can do to keep us cool, from the sensible to the fun! Make sure when outdoors that there is shade for us. Be aware of us when travelling in a car on hot days, and make sure there is air circulation. If out and about, make sure you carry some water for us. Hooman has one of these, from Pets At Home. Walk us early morning, or late evening, when it is much cooler. It really is no fun for us when it is roasting hot. Exercise is great for us, but when it's very hot, it should be cut back unless at a cool time of day. A dampened towel is great for us to lie on - cooling our bellies down is so much more effective than putting a damp towel over our back. And if you're really lucky, we'll drag it all over the house! Make sure when we are out during the middle of the day that the pavement is not too hot. 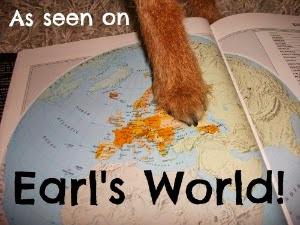 Our paws are sensitive, and can burn on hot pavements. You can even buy little protective boots for us to wear! Some cool water for us to splash around in is lovely. A beach is fab, but not everyone can get to a beach - a child's paddling pool is great. 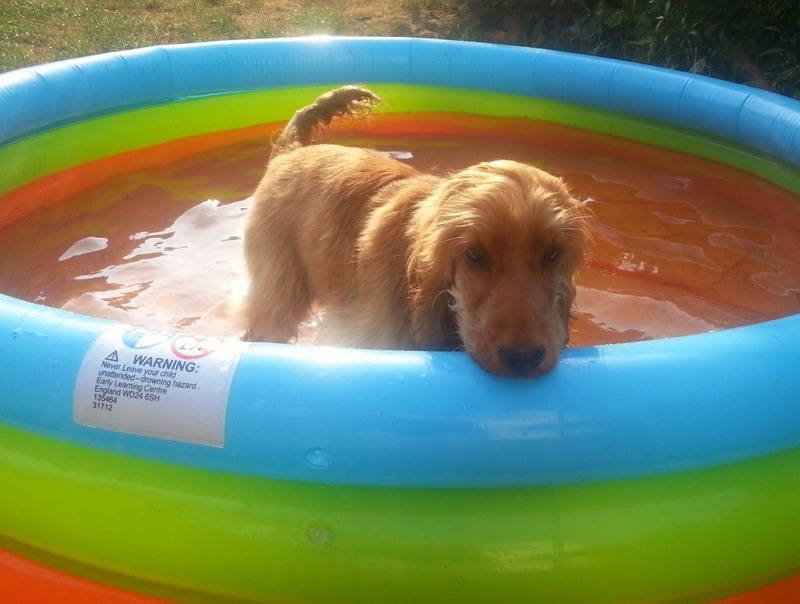 I vote for the paddling pool - my Hooman bought me one last year for a few pounds, and I loved it! Make a Kongsicle! Seal the end with peanut butter or similar, fill with weak chicken stock and freeze! You might want to give this one to us outdoors though heehee. So a few ideas there to keep your furry friend cool in the hot months. Any other ideas you would like to share? Summer Series Part 4: Does your dog have hay fever? Summer Series Part 5: Pests and other pesky things! Great series! You sure do look "cool" in your pool! So cool to have a pool. We do use the damp towel when it is really hot. Have a terrific Tuesday. Morning walks and the pool are the best ways that we have found to get the exercise we need and stay cool. Great couple of posts. Great ideas for what is going to be another sweltering heatwave! Great post! That pool is a great idea! Dog & Pup Store.....and a giveaway! Question of the Month: Yucky Pets!